Sizing Notes: One size fits most children size small to large. Petticoat is 15 inches long, and elastic waist measures 22 to 32 inches. 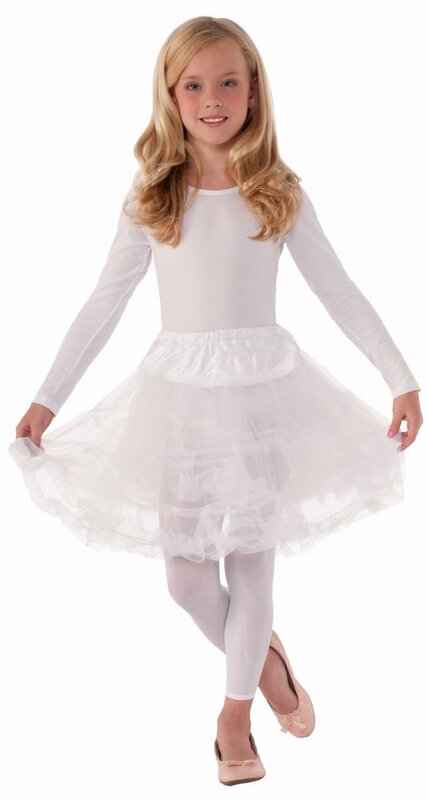 Complete your child's costume with this sheer tulle crinoline petticoat with elastic waist. Perfect for more coverage underneath a short costume or to make any costume more fluffy and twirly! 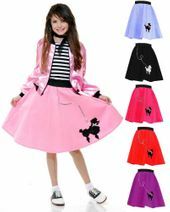 Great under a poodle skirt! Black, White, Pink or Red. One size fits most children size small to large. Waist measures 22 to 32 inches with elastic and 15 inches long.